One of the wonderful reasons to sew is that you can make things that you can't find in the store. You are the designer so you choose the fabric and what you are making. In this case, you will be keeping food safe while you travel to a destination, serving it for a lengthy buffet with friends and family or any other reason keeping food at the proper temperature will enhance the experience and keep everyone safe from possible bacteria. I like my guests to enjoy food at the temperature it is supposed to be served at... hot foods hot and cold foods cold... this insulator is not only a pretty way to serve dishes at a buffet, it helps keep them at the correct temperature. On a really hot day, you can even add ice packs to keep cold food cold. 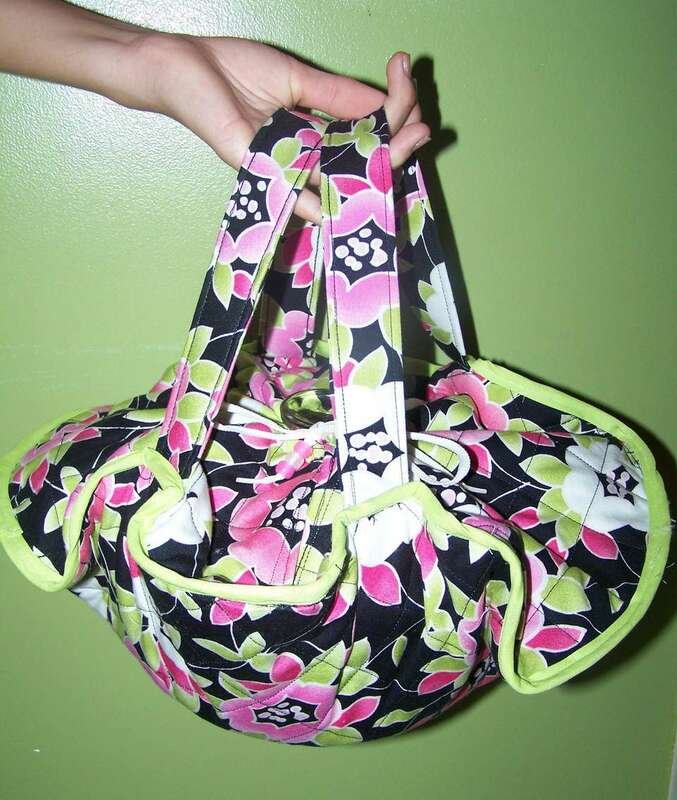 This casserole carrier is simple to sew and the tutorial provides step by step instructions. These would make a great gift as well arises for you to carry a hot dish. It is rare to find a carrier which caters to a round bowl...but many casseroles are done in bowls. This carrier is PERFECT for toting bowls! You'll find wonderful directions with many photos so you can see the construction method. This casserole carrier includes step by step instructions with photo enhanced directions. It not only insulates a dish it provides a spot to carry a serving utensil and fabric handles to keep the project economical. Ready for a bit more advanced sewing? This fantastic carrier features a structured carrier with a zipper closure along the top edge. It is accompanied by full step by step instructions with photos to guide you through the process of constructing this durable casserole carrier. Do you enjoy quilting? Be sure to check out this free pattern with step by step instructions. This unique casserole carrier uses round pocketbook handles as the handles and is bound to catch everyone's attention. This casserole carrier is unique in that it provides a way to attach things like a hot mitt that you might need to go with the casserole. It is constructed with webbing straps that go all the way around the casserole for strength that will hold up. The step by step, photo enhanced, directions also feature a pocket to carrier a serving utensil. This page of free instructions offers two different versions of casserole carriers. One uses a single place mat and ribbon while the other uses two place mats and has a strong durable handle to carry your casserole. Looking for a simple carrier? This one is unique and clever! Using a square of quilted fabric and D rings you can create this great casserole carrier. You can't put a hot pie in a plastic carrier or a totally sealed container without it becoming soggy. This carrier is a simple and perfect solution to carrying a warm dish and has wonderful step by step instructions with photos! Imagine your fabric dishes, pot holders, curtains and place mats all coordinating... maybe not if you tried to buy them but when you are making your own anything is possible!